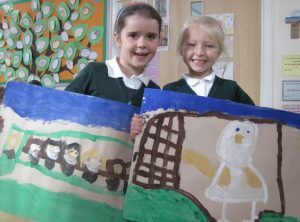 Art at Hutton is based on developing the mastery of artistic skills and understanding. Throughout their time at the school children study the work of contemporary and historic artists, craft makers and designers, describing the differences and similarities between different practices and disciplines, and making links to their own work and learning about great artists, architects and designers in history. KS2 pupils learn to create sketch books to record their observations and use them to review and revisit ideas. 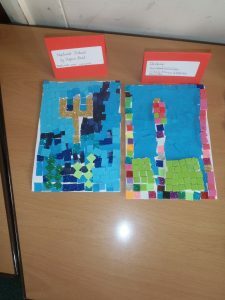 They learn to improve their mastery of art and design techniques, including drawing, painting and sculpture with a range of materials (for example, pencil, charcoal, paint, clay).